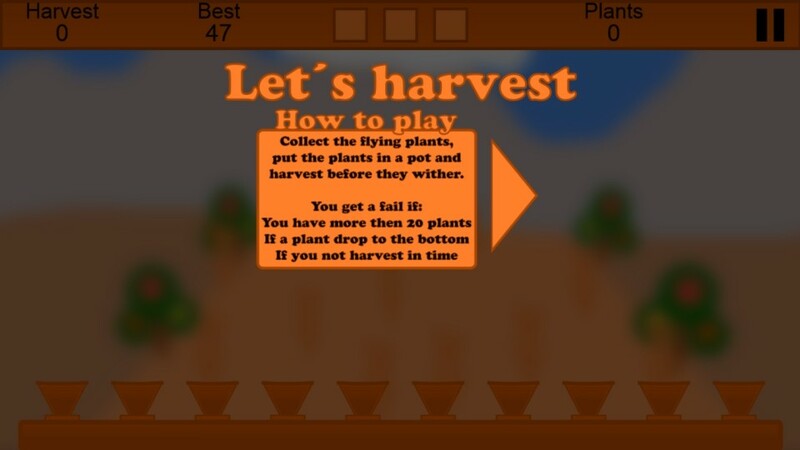 Plant and Harvest by FreneticGamez is a fast paced game where the plants never stop coming, you must be fast and coordinated to have the time to collect plants, put them in a pot and harvest the plant in time! 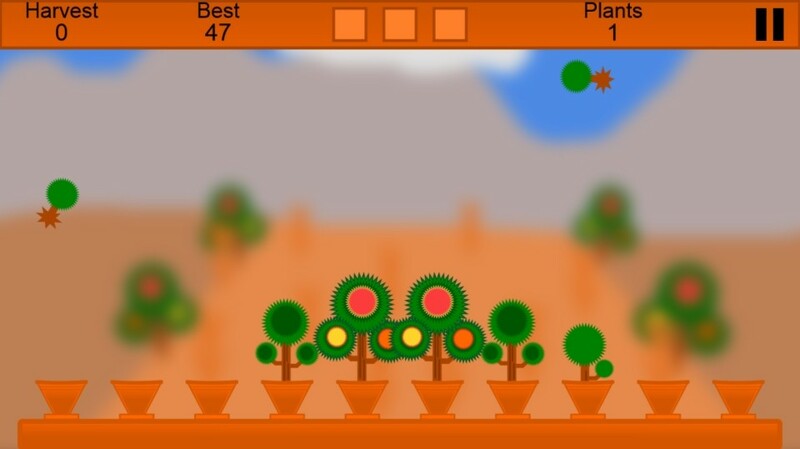 Do you have fast fingers you may have the time to collect all plants and master this free game. 3 fails and its all over. 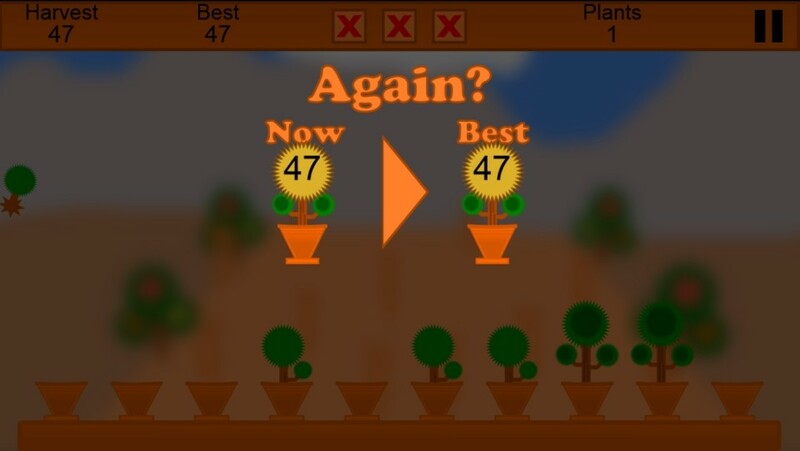 Compare your highscore with your friends. Players need to click on the flying plants. Make sure you don't drop them or it will take out one of your life. After you catch the plant, you will need to plant them to the pots. If you don't have plant them, you can't score in this game and, besides, you can't hold more than 20 plants. The plants will grow and you will need to harvest it when it's fruitful before it goes dry or the game will take one of your life. The game goes represent the name of the developer; FRENETIC! You will have plenty to do once you start harvesting your plants. This is the kind of game that I wish I play on a touch screen/monitor as it will be faster and much more accurate for clicking/tapping. Overall, I like it. It would be great if it adds more variety to the plants and the catchable, but at this time, the game is very much enjoyable!